Which Cap Has the Best Hair? In honor of Our Captain’s change in appearance, we’ve created a poll for the best hair on the Washington Capitals’ roster. The choices are defenseman Mike Green, Swedish center Nicklas Backstrom, center Mathieu Perrault, center Marcus Johansson, and winger Alex Ovechkin. Who on the Capitals has the best hair? You decide. Which Capital has the best hair? 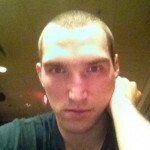 Images via The Capitals, and Ovi’s Twitter.BTW, check out this Ovi hair from the archives.